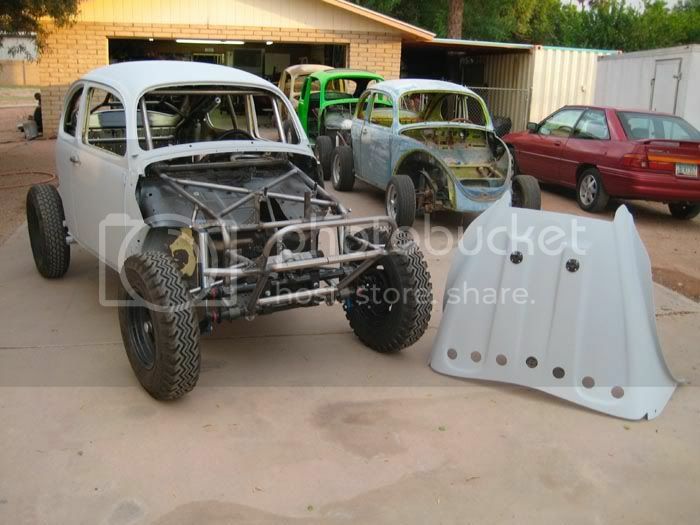 well guys, as some of you may know i had my baja bug taken down to a fab shop in gilbert called FAB Inc. to get it built to race 5/1600 in the whiplash serries. 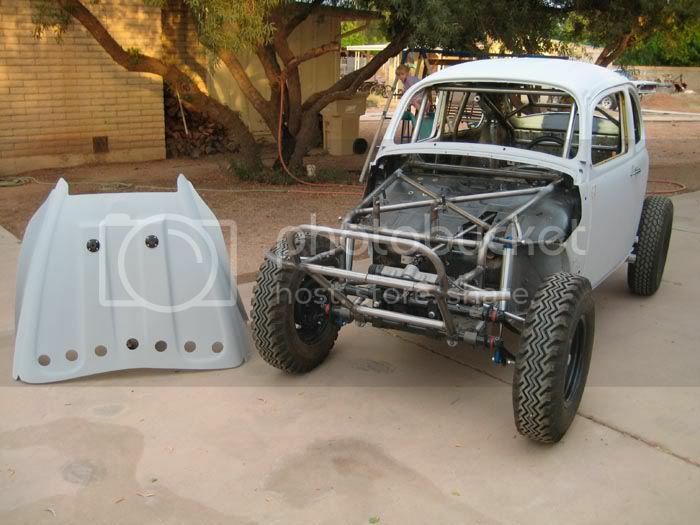 well i just got these pics in my email and i am so stoked...full tube frame chassis, front and rear bumpers, seat mounts, rack and pinion, brand new link pin front end, fox 10' 2.0 emulsions in front, fox 12' 2.0 rezzi smooth bodys in rear. trailing arms boxed in, all new wheel bearings and seals, new hd hubs, so much more i cant even think of right now. anyway, the fab is done minus a few tabs for mounting a couple things. 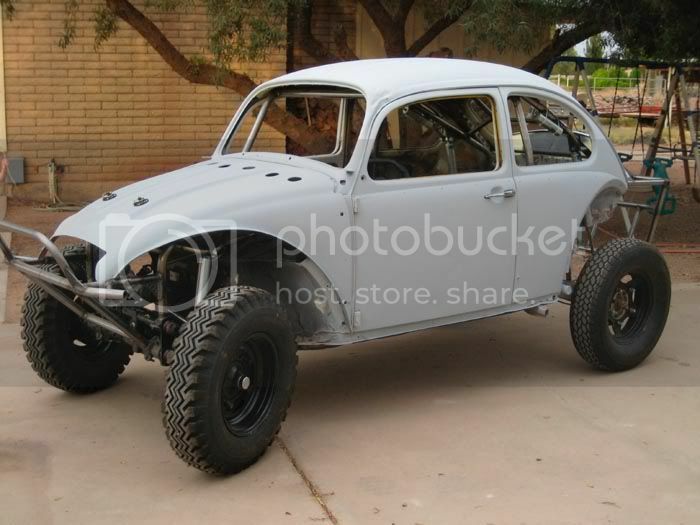 i need rear tires, seat belts, and window nets. the car is otherwise done for the most part. we are looking to have it turn key in about 2 weeks. the work is absolutly flawless. HA! That thing is way cool. 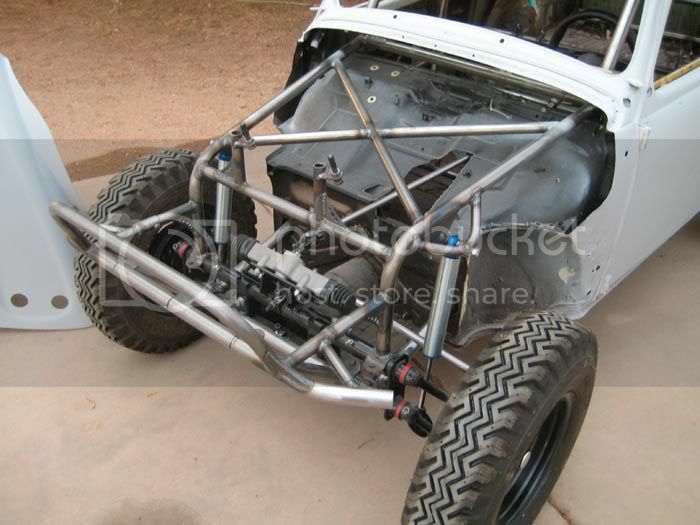 I love that full chassis/cage, but how are you going to get the engine in? I take it they're going to make the engine cage removable? the cage is removeable. 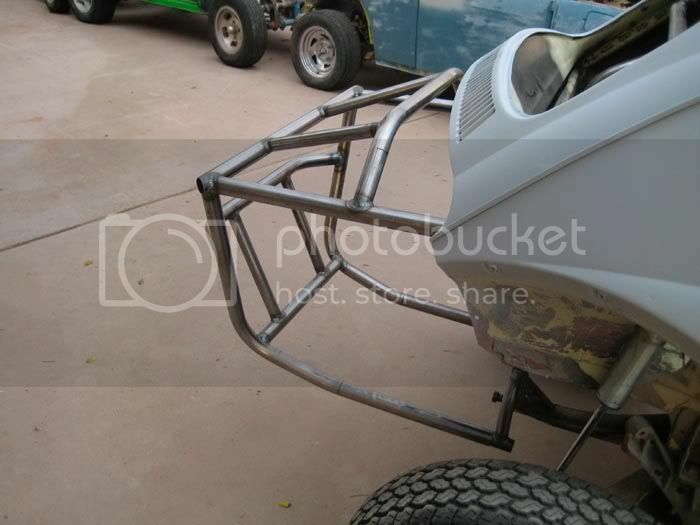 it slides on to a smaller size tube and gets bolted in place. work is real nice. 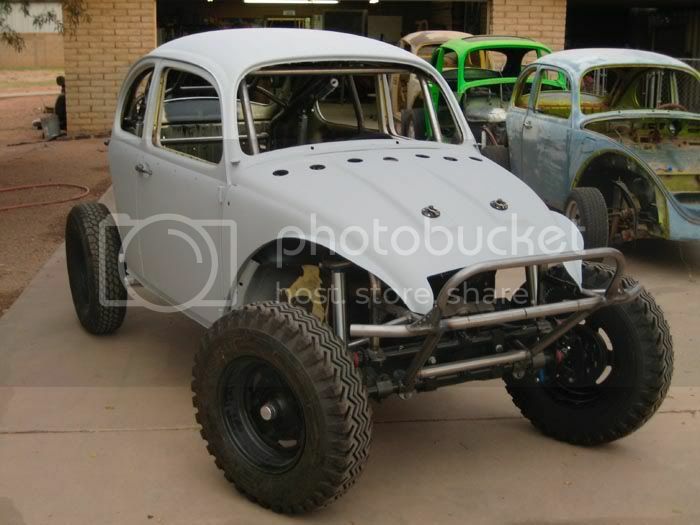 cant wait to drive it!!! Thats bad a$$!! 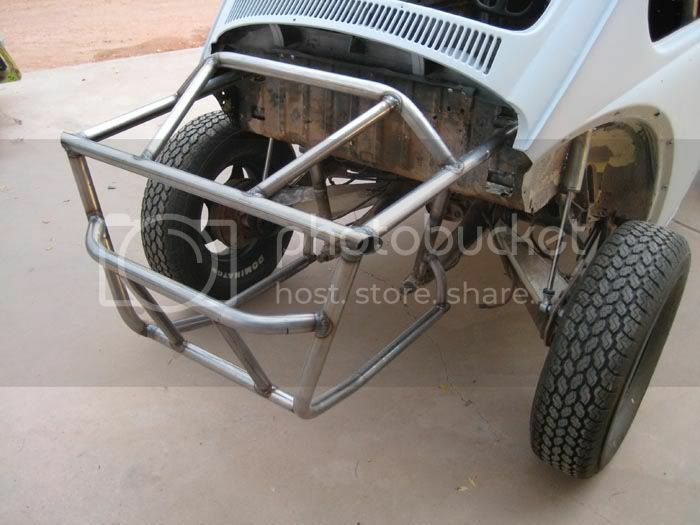 How about some pics of the rear upper shock mount and cage in that area when you get it back? One question tho.... It appears to me that the steering wheel is set back a bit, won't that make it difficult to shift gears? 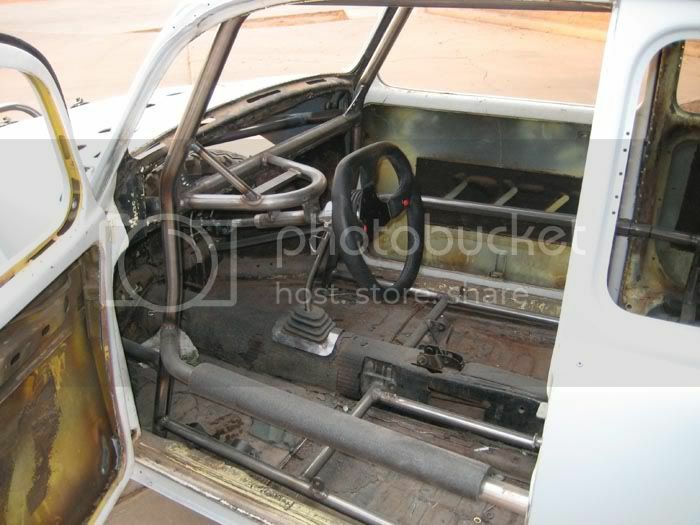 i was thinking the same thing...are they going to fill that monster hole, that was cut for the steering shaft? Just curious why you didnt go with coilovers? Well thats a pretty good reason. Looks like a lot of fun! ya the car should do great. 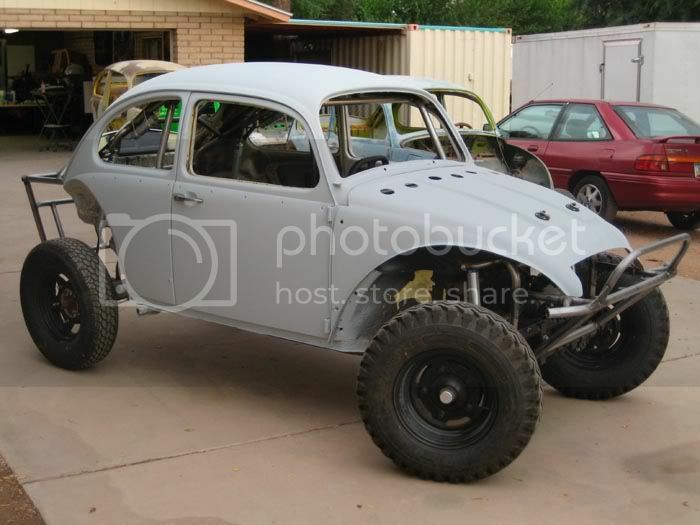 it has alot of suspension under it so im sure it will be a good ride. im hoping to be able to take the car out in the next couple weeks. just need harnesses and window nets.